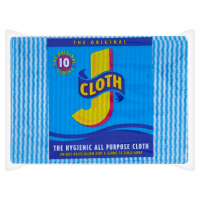 Gently clean the affected area with lukewarm water. Apply a thin layer of Dermalex Repair Rosacea & Couperose cream twice a day, in the morning and in the evening. 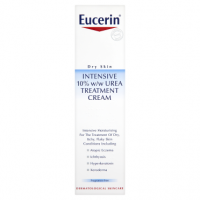 The cream can be used safely without time or quantity limitations. 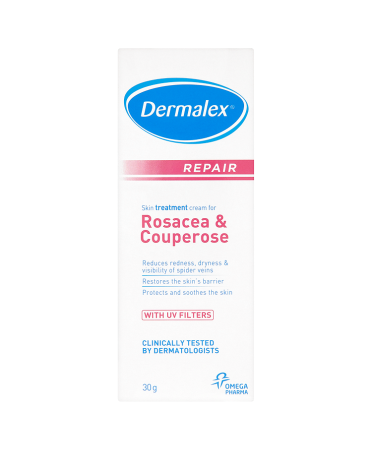 Dermalex Repair Rosacea & Couperose reduces the typical symptoms of rosacea by promoting the full restoration of the skin's barrier function. 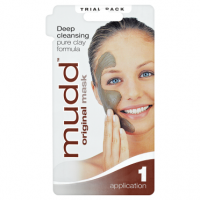 The patented Tri-solve technology creates a protective film on the skin helping to restore a thick and hydrated epidermis. 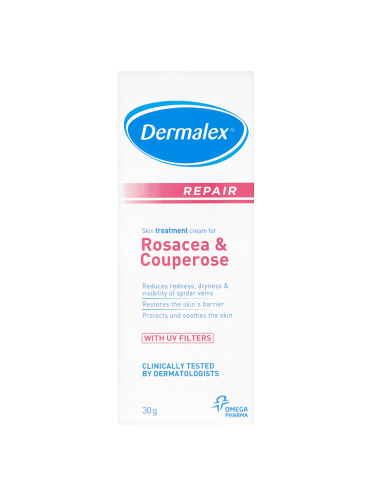 Dermalex Repair Rosacea & Couperose also protects the skin through specific UV filters neutralising an important trigger in the appearance of rosacea and couperose symptoms. In addition, the cream contains well known soothing and calming ingredients and a green pigment reducing the skin's redness and increasing self confidence. Dermalex Repair is a dermatologically tested product for the treatment of rosacea and couperose skin symptoms such as redness, flushing, visible spider veins, tightened and hardened skin and dryness. Dermalex Repair Rosacea & Couperose cream does not contain perfumes, corticosteroids, or parabens. Store at room temperature (below 25 C).